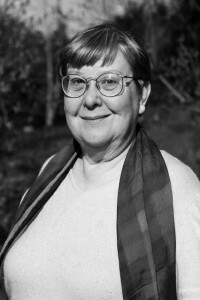 Marilee Karl (born 1941) has devoted her life to the causes of social justice, civil and human rights, equitable development and womens empowerment. She co-founded Isis International in 1974, an organization linking women from South to North and from East to West. Through networking, communication, and capacity building activities for over 30 years, Isis has supported and inspired tens of thousands of activist women and groups around the world, whose work ranges from grassroots empowerment and community action, to conflict resolution and womens rights advocacy at the international level. Rome 1974: a small international group of women met around a kitchen table and thought about the newly emerging wave of womens rights groups around the world. We were part of it and we were in contact with many new groups in the South and the North, organizing and mobilizing themselves and other women to overcome discrimination, violence, and lack of opportunity, working in creative ways to empower women to build a more just world, Marilee says. How could these groups be strengthened? We needed to break our isolation, link up and communicate with each other, she recalls. And so Isis, an information and communication network of women, was born in 1974, co-founded by Marilee Karl. It was named after Isis, the Egyptian goddess of creativity and wisdom. When we started, we dreamt of a network of women and women’s groups and organizations around the world, sharing ideas, experiences, strategies and action, and building solidarity, says Marilee. In the early years the dream threatened to burst for lack of money. But with a lot of enthusiasm, the work of committed women, and an overwhelming response from womens groups around the world, Isis grew and played an important part in the emergence and blossoming of the global womens movement from the 1970s up until today. And it still does. From two tiny offices in Rome and Geneva, Isis developed into three sister organizations: Isis International in Manila, Philippines; Isis-Wicce in Kampala, Uganda; and Isis International in Santiago, Chile. Marilee led Isis International, as part of a team, until 1994. After two decades, she passed the leadership on to younger women from the South. As a honorary chairperson, Marilee continues to play an active role in Isis International, Manila, as well as in other womens rights, feminist, and development networks and organizations. This post is also available in Deutsch and Global Site.